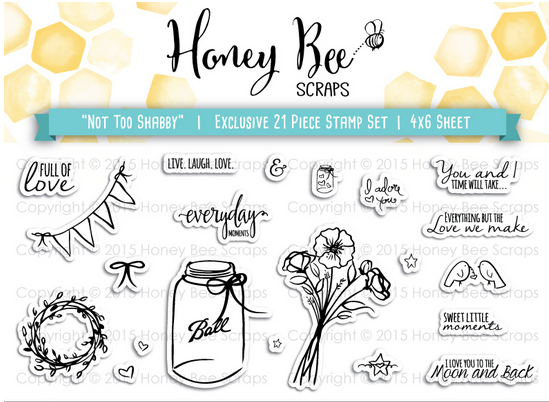 Today I am sharing with you a Wedding card I created using the “Not Too Shabby” stamp set from HoneyBeeScraps. 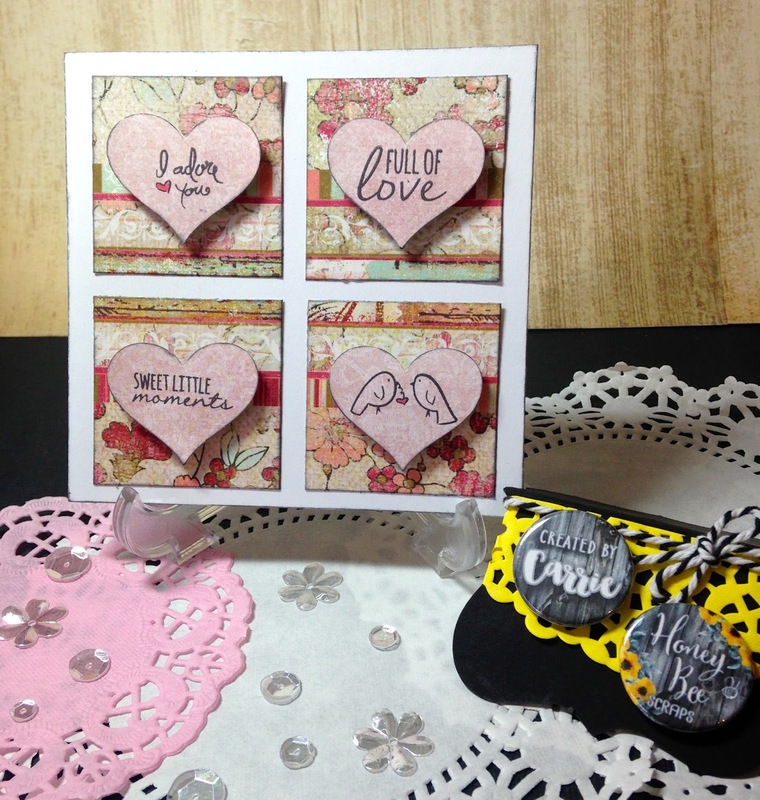 The sweet little icons and saying are perfect for creating this card. 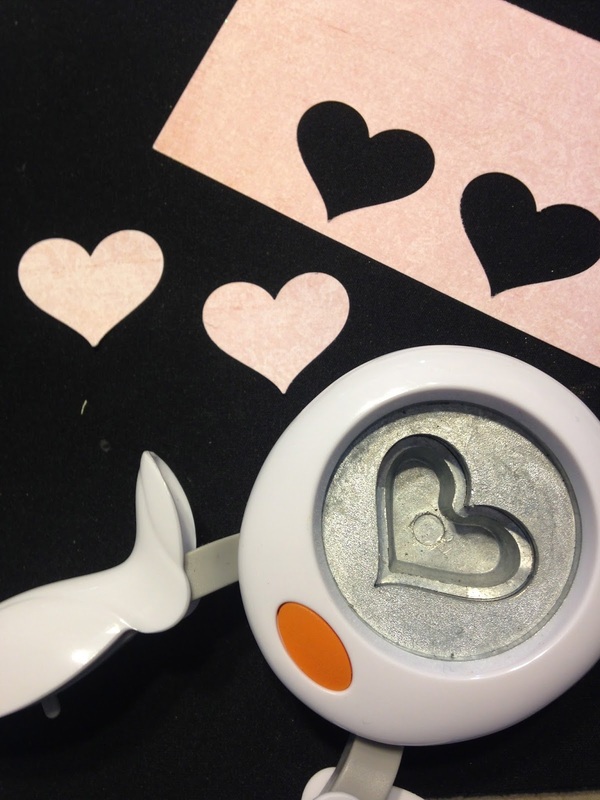 I started by stamping onto some punched out hearts then layered those hearts onto some pretty patterned paper. I also inked all my edges to add depth and contrast to my card. I used 3D foam adhesive squares to pop up my hearts. This really adds some dimension to my card. So next time you need a quick card try this simple and pretty design. You can add any icon or saying to the hearts to fit your celebration.